​Tech giant Microsoft are currently making a big splash in education, and they have introduced a range of cutting-edge technologies designed for teaching computer programming, computer-aided design, robotics, virtual reality, and artificial intelligence, among other things. To introduce these exciting new technologies to schools around the world and Asia/Africa, they have set up a series of international EdTech conferences to give teachers the training and tools to use them. Microsoft set out assembling a team of speakers and trainers for these events, and I was selected to be part of the team, delivering the Minecraft, CAD & 3D Printing strand. 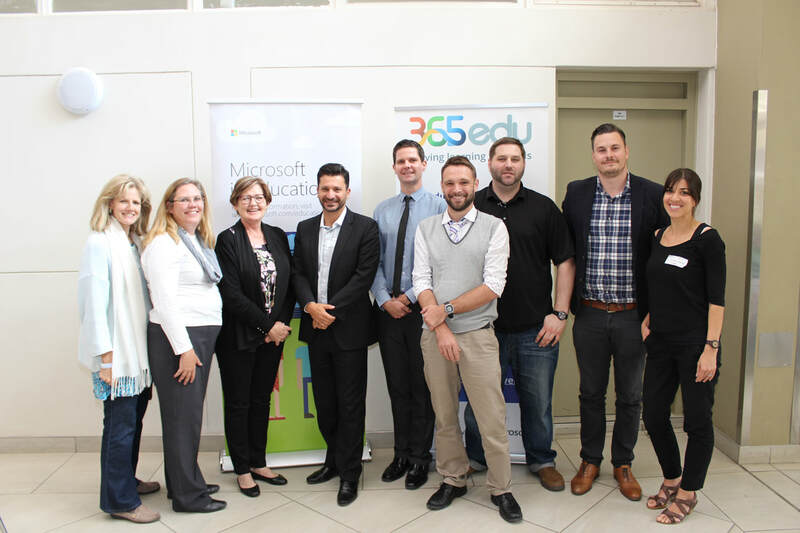 Microsoft kicked off the project at the prestigious Brescia House School, located in beautiful Johannesburg, South Africa over the weekend of the 28th to the 29th of October, 2017. First on the agenda was the morning keynote presentation delivered by Craig Kemp of Stamford American International School Singapore. He spoke about the changing face of education, and how teachers can deliver connected, engaging, empowering learning in the 21st century. After the keynote, it was time to break out into the various sessions being delivered. I was tasked with delivering the Minecraft strand, and introducing teachers to Microsoft’s Minecraft Education Edition and its related apps through seven 1-hour sessions. I was tasked with delivering six sessions at the event. This introductory session covered the basics of deploying Microsoft's Minecraft Education Edition at your school from scratch. As Minecraft Education Edition requires a 365edu account, this session began with instructions on setting up a free Microsoft 365edu domain, to deploying the software, to booting up the game and creating a world. As many participants were brand new to Minecraft, much of the session was spent just "tinkering" and getting used to moving around and placing blocks. Participants had a great time, and remarked how awesome it was to finally try Minecraft, and to see how useful it could be for education!!! Having learned now how to deploy and start up the software, it was time to learn how to harness it! First, participants brainstormed some simple projects using only a blank world in creative mode that they could use in class immediately. Participants came up with some great ideas, such as building Ancient Egypt, measuring velocity and building a sustainable house. Afterwards, it was time to check out the online repository of worlds and lessons at the education.minecraft.net website! Participants downloaded a range of worlds and lessons, including the Hanging Gardens of Baylon and a replica of the Human Eye!!! ​Now, it was time to cater to subject-specific teachers! As a Literature teacher, I have a lot of experience successfully using Minecraft and other technologies to make learning more connected and meaningful. At first, it might seem like Minecraft and Literature are strange bedfellows, however nothing could be farther from the truth!!! Minecraft is all about creativity, and the ability to CREATE almost anything makes it the perfect literature companion. Reading a book in class? Why not have your students build the world from their imagination? Or, use the world to build a story mountain and annotate the narrative? Or, recreate a scene from a play? Or....or...or.... why not create your own world, with it's own characters, and write your own story? The possibilities are endless!!! And, if you are somehow out of creative inspiration, then simply head to education.minecraft.net and download a bunch of Lit worlds and lessons, including the entire Roald Dahl collection, and H.G. Wells' Time Machine! Time to get reading! ​Another subject area where Minecraft truly excels is in the human and natural sciences as the possibilities are, quite literally, endless!!! Participants first looked at a lesson I had published on the website which requires students to research the Eiffel Tower, then build a 1:1 representation of it in Minecraft from a provided description. This not only broadens students' knowledge of a famous world landmark, but also sharpens their research skills, encourages collaboration and teamwork, and even integrates mathematical skills such as measurement, division and geometry!!! 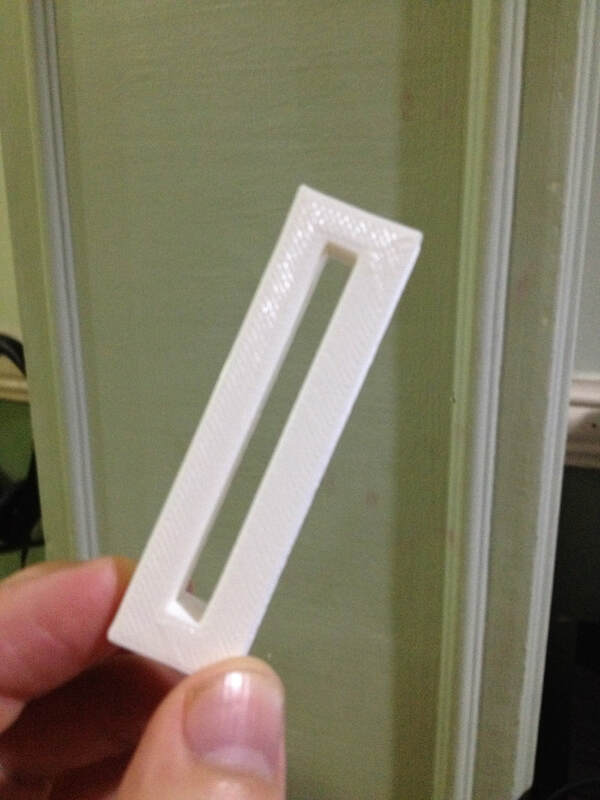 After rebuilding the tower, students can of course 3D print it and show their friends! Having covered a humanities project, it was time to look at projects in the Natural Sciences, and again, the possibilities are endless. This project focused on exploring human anatomy in Biology, so participants downloaded a "Human Eye" world from the Minecraft Education. Once inside, particpants used the "sign" block to annotate the world as they came across the different parts. I can't think of a more connected, meaningful and fun way of learning about the human eye!!! For the final session of the day, it was time for the most fun, and for me, the most exciting part......Minecraft Code Builder!!! 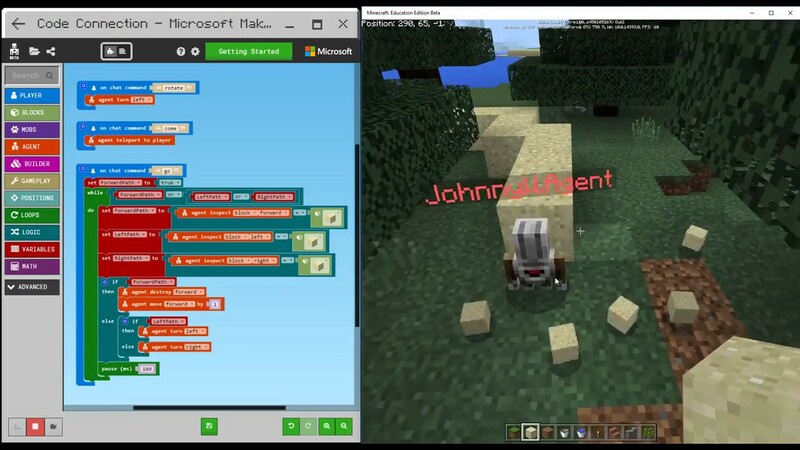 Using the block-based user interface of popular coding apps such as Code.org, Tynker, Makecode and Scratch, Minecraft Code Builder is now probably the most fun and awesome way to learn coding there is. In Minecraft’s endless 3D world, students are given an “agent” who they can program to build whatever they can imagine using a range of programming languages including Java, Scratch, Python and C+. Students can do anything they would normally be able to do in a Minecraft world, however, Code Builder adds the important skill of learning a programming language to what was already a meaningful task. Could Minecraft get any cooler?!?!?!? The Brescia House, Johannesburg event is the first of a series of similar events to be held across Asia, Africa & the Middle East: keep an eye out for future events in Bahrain, Qatar and elsewhere!!! Until then, keep it cool and keep it techie!! !